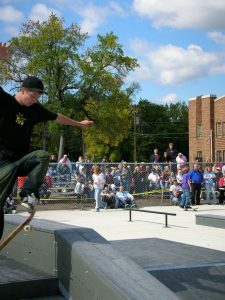 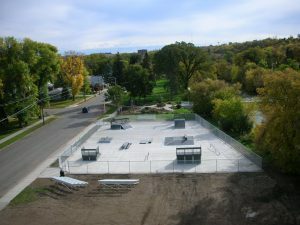 The skate park consists of one side of larger equipment for those more skilled and one of smaller equipment for less skilled. 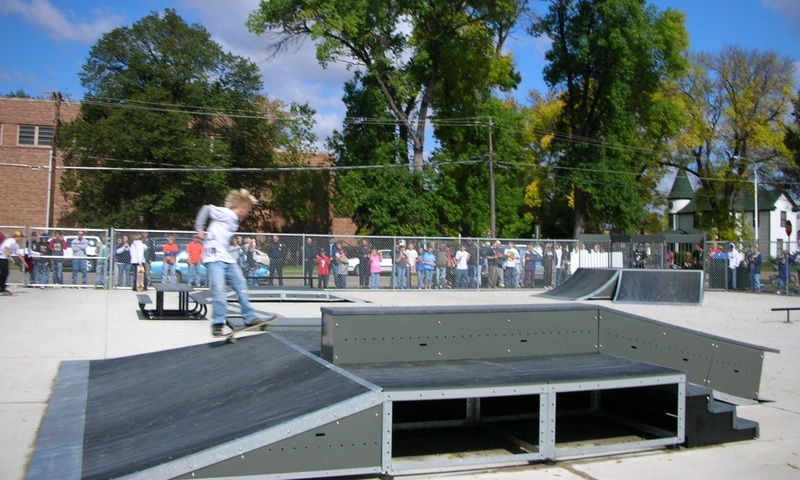 The equipment is modular in design to allow for changes in configuration and skill levels as well as the ability to re-configure the park to meet the need for any demonstration teams or competitions which might be held there. The concept design for the equipment in the skate park came about from a live webcast with professional contractors, local youth and adults and professional skateboarder, Dorian Tucker, a Skatewave athlete. 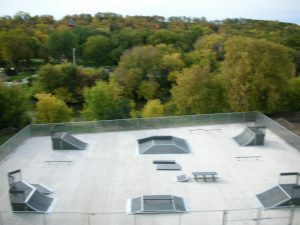 There is a parking lot on the west side of the park. 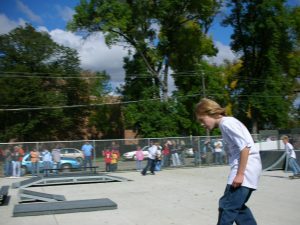 Central Ave. South and 4th Street SW.